For what it is worth, I’ve made my preference known, I will write in Palin if she doesn’t run. On the contrary, if Palin does not run I will be filled with admiration for a person who suffered three years of unprecedented hate from all quarters and stood strong whilst enunciating principles that have changed the political framework. The haters and the Mataconis’s just don’t get it, it is possible to support a person with tremendous energy, accept they are human and have faults and, whilst regretting a decision not to run,if that happens, accepting it as a positive character trait. If she doesn’t run (and even if she endorses someone) I will still write in her name. If enough people do that as well and the result is that, in a close election President Obama is re-elected then there are positives to that outcome which I welcome. When Salvador Allende was overthrown in an engineered coup a prescient American businessman said that one of the most unfortunate things about his removal by force was “that it muddied the waters”. If Allende was allowed to face the voters and was defeated it would have proven, he said, once and for all that socialism, even the ‘socialism with a human face” the “historic compromise” doesn’t work. What the coup did was to create a myth, and give an excuse to the left for the failure of Allende’s economy. That the economy was in collapse at the end was certainly due in part to the engineered strikes, but also due to the inflationary environment. Thus, when the Perry/Romney RINO/Beltway administration starts to become unpopular, after a brief flurry of popularity, as all newly elected “hope and change” administrations get, then the left will come out of their shell and call for a big spending government and the whole cycle will repeat itself. If however Obama is re-elected then there will be no excuses with any credibility. If three years into his second term the economy is still in the tank then the country will be ready for the Palin prescription of small government, low taxes, and letting the market do its work with a bonus of a regenerated ethical and spiritual ethos coming from the top. Four more years of what we have now, from either an Obama or RINO, more of the same, administration may be a bitter pill to swallow but it might just be the pill that does the cure. On the other hand the whole scenario could be avoided if Palin ran and won, and commenced her administration with a supportive congress and a public hungry for real change. Letting the market do its job unimpeded by government (even if there is a bitter pill to be taken to get that under way) is the realistic hope and change, and if it needs to be brought about by a dramatic election win for Palin, or four years in the economic doldrums then so be it. Along with her rise in the polls to be just outside the MOE against President Obama the powers that be clearly recognize who is the driving force, and where the real center of power is in the GOP-it certainly isn’t the Romney wing. 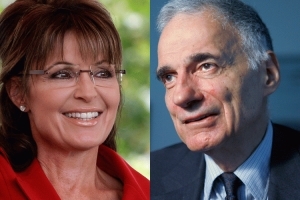 “If Palin Doesn’t Run-Then who To Support? If Palin doesn’t run and endorses someone then, except for Romney or Bachmann that’s the person I would vote for (Palin supporters are not robots). If Palin endorses a candidate and that candidate subsequently chooses either Romney or Bachmann as their running mate then I would not vote for them. In both the above,”I won’t vote for them” cases I would write in Palin. Since writing that, I have had the opportunity to further consider the prospective candidates. My views on Bachmann and Romney have been, if anything, further consolidated- I won’t vote for either under any circumstances. At this point I have to agree with the writer of this letter, with the one possible exception of Giuliani. If he doesn’t run, and Palin doesn’t run, then I too will write in Palin. I will only support Sarah Palin for President of the United States even if I have to write her in.A) Americans generally do not trust Republicans or Democrats. (either do I). of Alaska’s resources against crony Oil companies. whose last name doesn’t end in Palin. Palin letting Romney and Perry duke it out? 9 candidates are vying for the Republican nomination and will go head to head tonight at the Fox News/Google debate in Orlando. All eyes are on the top two contenders, Mitt Romney and Rick Perry, who will duke it out for the third time in three weeks. But you have to wonder about the strategy of another potential candidate who has yet to announce—Sarah Palin. Palin appeared on FOX News’ Hannity this week, stating that there’s still time for her to declare. That can definitely be true because a new McClatchy-Marist Poll shows Palin has gained in a hypothetical matchup against President Obama, and now only trails him 49%-44% and is actually leading among independents 47%-43%. So you have to wonder, perhaps Palin’s strategy is to let Romney and Perry duke it out with each other before she gets into the fray. The two frontrunners have been debating each other for days and the media continues to keep score, giving Perry the first debate, and Romney the second. 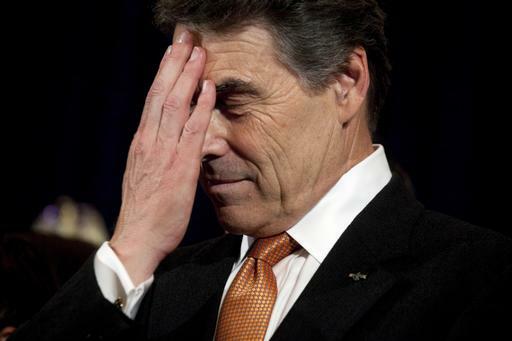 Not only has Romney attacked Perry for calling social security a failure, Perry has made a big play to shore up his foreign policy credentials in recent days, and Perry has declared Romney Obama-lite. As we head into their third debate, who will prevail? One thing’s for sure, if you’re Sarah Palin, it’s wise to let Romney and Perry duke it out. Who knows, they might fight so hard that they knock each other out, making room for only one candidate whose name is Palin.